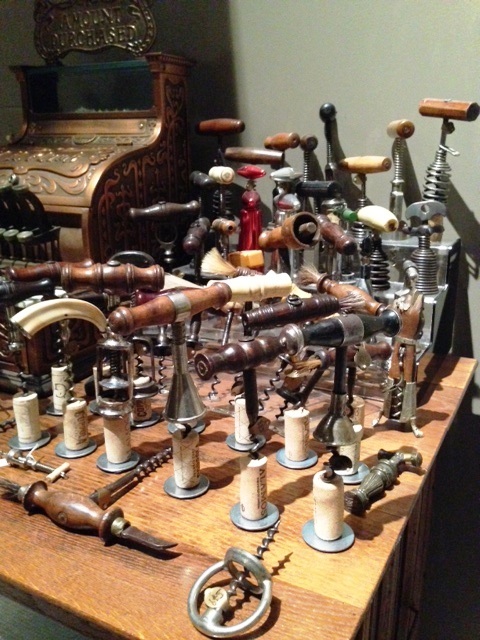 Visiting other corkscrew collectors is always an eye opening and fascinating experience. 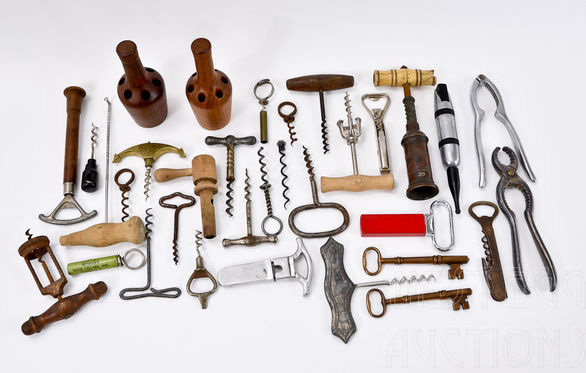 Not only are there the treasures that they have uncovered, and the potential of a trade or two, but to me, I also find it interesting seeing how their corkscrew collection is displayed. In drawers? In a display case? In stands? On shelves? Hanging on their walls? Mounted in frames? Under the bed in boxes? Hidden in the attic? All of the above? 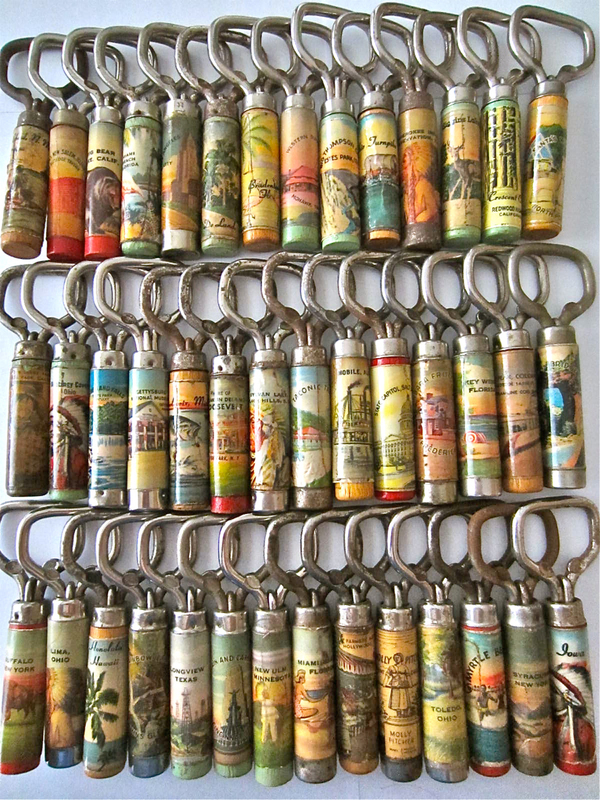 For those of you that have visited our house, you know that their are lots of corkscrews in a fairly large map case. Still, as our house is rather small in the grand scheme of things, and the “corkscrew case” is rather large, I have been toying with other options for displaying/housing the collection. Tommy’s cork corkscrew stands might provide one possibility (although, this will still necessitate building another display case). 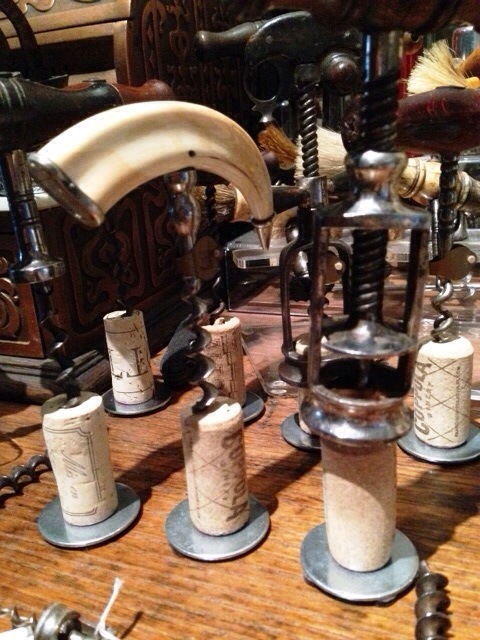 Ed Wolffe (one of our loyal readers) has offered up his version of the cork corkscrew stand. This time adding a washer under the cork–I really like the industrial look of this! 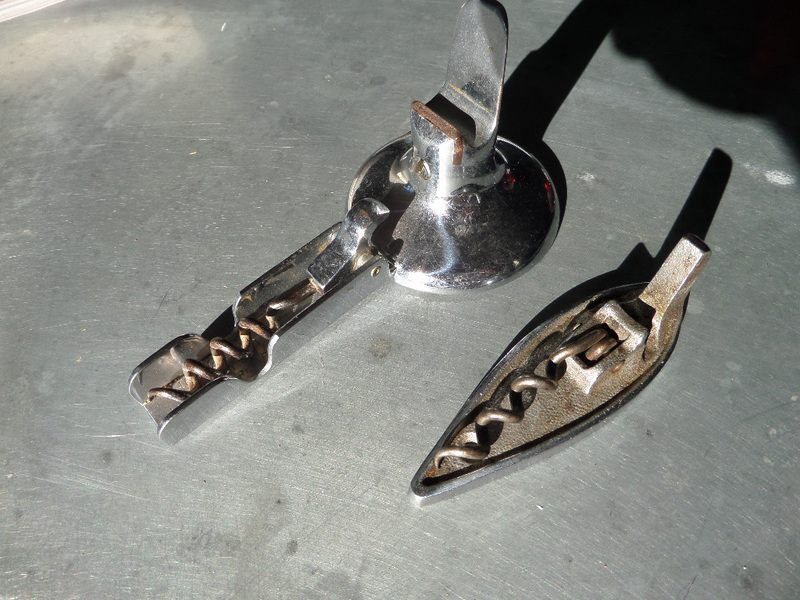 Ed explains, The metal washers offer a different cosmetic feel (some will like it, some will not) but the weight of the metal does seem to offer better stability to the mounted corkscrews. Oh, and I put four small felt dots under the washer to both offer some mechanical space to the tiny bit of screw head and a non-scratchfeature to the stands. Thanks Ed! Very cool idea! 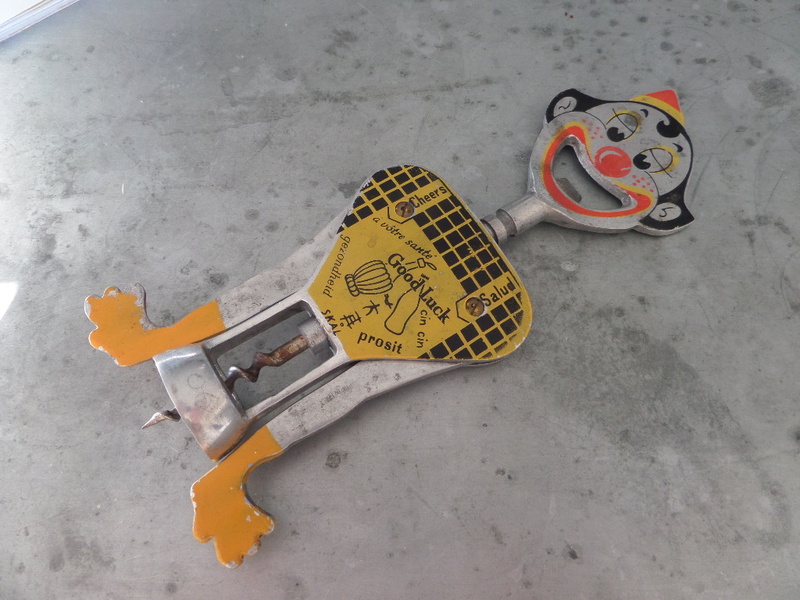 One of the potential best 6 of the year, which was only acquired this last week, is a R. Murphy corkscrew with button. For all the Murphys within the collection, and there are many, this has proven to be one of the harder pieces to find. I have picked up various bells, direct pulls, buttons, and mechanical Murphys, and even an ivory handed Murphy, but the patented button with upturned hook has proved rather elusive, until recently. Marked across the button R. MURPHY, HARVARD, MASS. PAT. 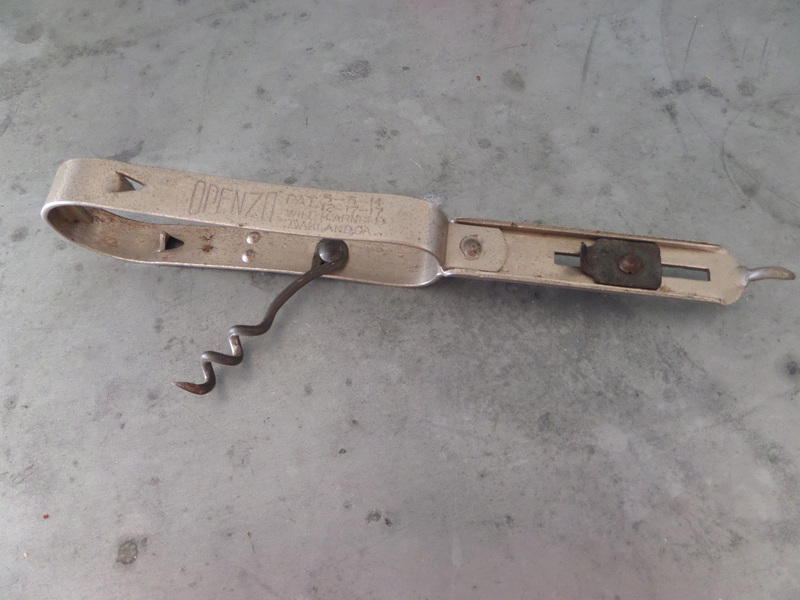 APRIL 23, 1901, this is definitely one that I have been after for some time, and has been added to the Murphy Corkscrews page on the website. If you have a Murphy or an R. Murphy Boston signed corkscrew with which you would like to part, feel free to drop me a line. If it is of interest, I am sure we can arrange a trade. The lovely certified personal personal trainer and I got back from the West Coast yesterday, and will be back on the boat heading to the mainland come Wednesday to spend Thanksgiving (we are doing the cooking at their place) with friends. And, of course here are two that are destined to end up TC’s growing wall mount corkscrew collection (the wall mount next to the Hoegger is marked CORBIN and is bit larger than the another version which, when found, is marked “S”, “8582” and “12” on the back). Feel free to send trade bait Tommy! The auction lot with the Woodman’s patent wire, will not be shipped until Wednesday, so I will post pictures when it arrives. The lovely certified personal trainer and I have been in Long Beach, CA for the last couple of days visiting family. And, in between wine, food, and boating, we managed to find time to do a little corkscrewing. 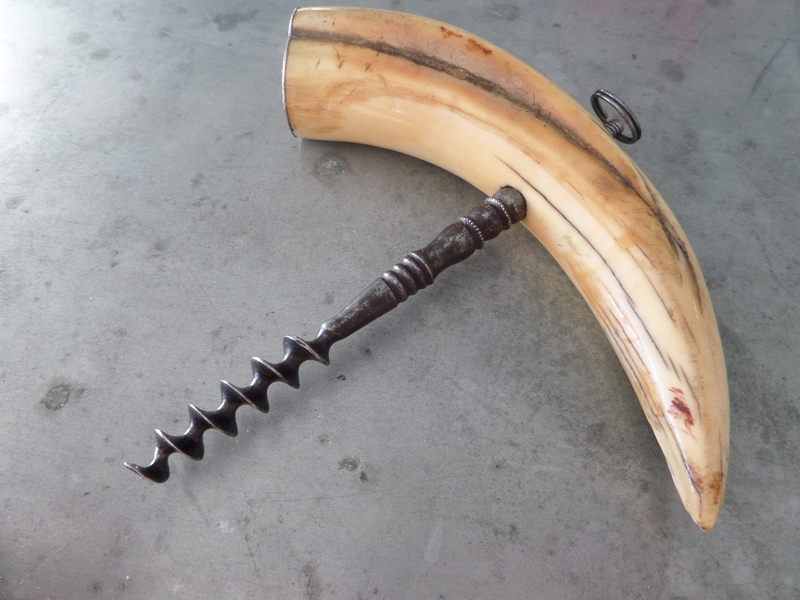 In the past, hunting for corkscrews in Long Beach, haven’t always netted out great finds. The last few days, however, have proven otherwise. There have, indeed, been some nice corkscrews about. Here are the finds of the weekend. And, as if this wouldn’t make for a super corkscrew weekend. This morning I got word that I won an auction lot from an auction house on the east coast. Until you examine the picture closely. 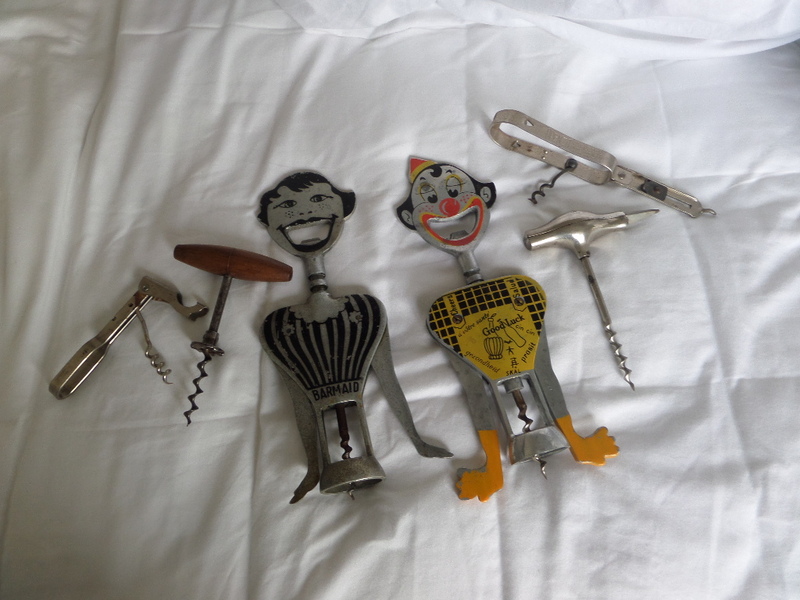 While there are some interesting corkscrews pictured, it was the corkscrew that is center top that encouraged my bid. 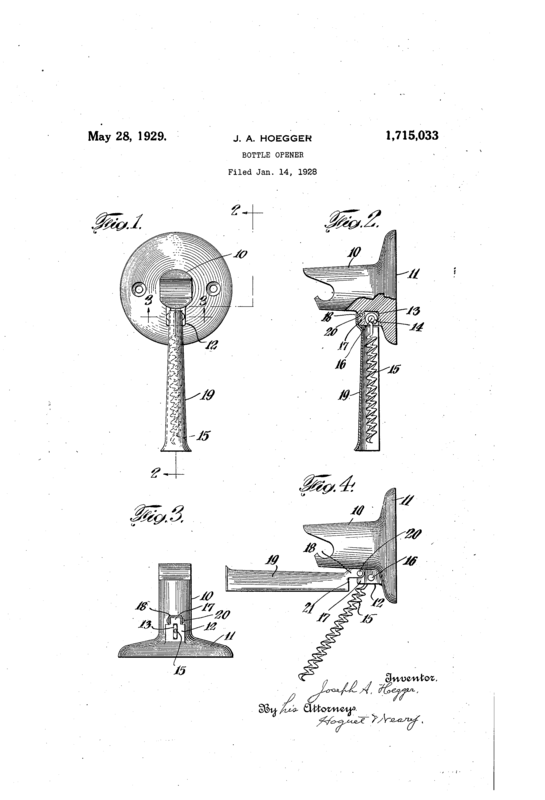 While the picture didn’t show off all the details, I am positive that this is an 1884 Wilbur Woodman Patent. I have never seen another, with the exception of the example of Fred O’Leary’s book. Will the Dickson and Woodman make the best 6 for this year? They very well could, but who knows what might turn up in the next 6 weeks as we close in on the end of the corkscrew-fiscal-year? Stay tuned for more corkscrew news!!! 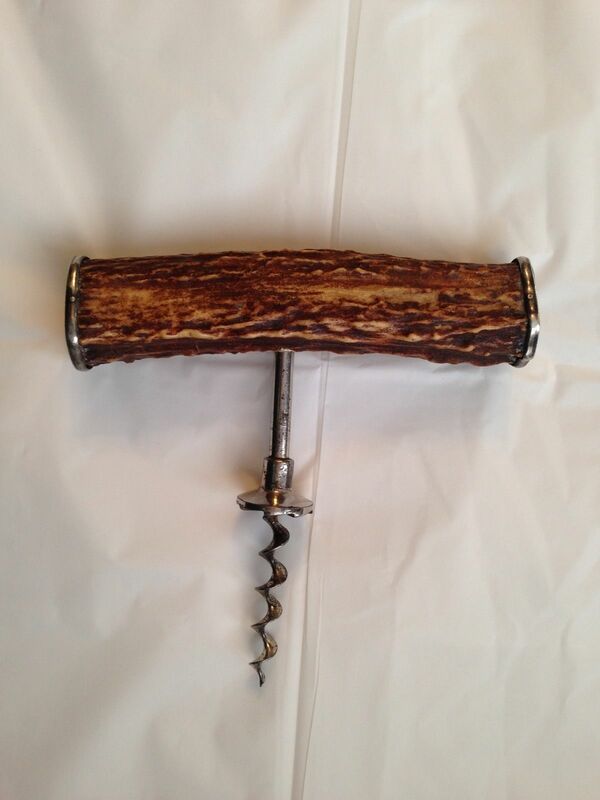 After an email exchange yesterday, a price was agreed upon for a simple direct pull corkscrew. And, normally I am not one to go crazy for direct pulls, but this one was particularly interesting. 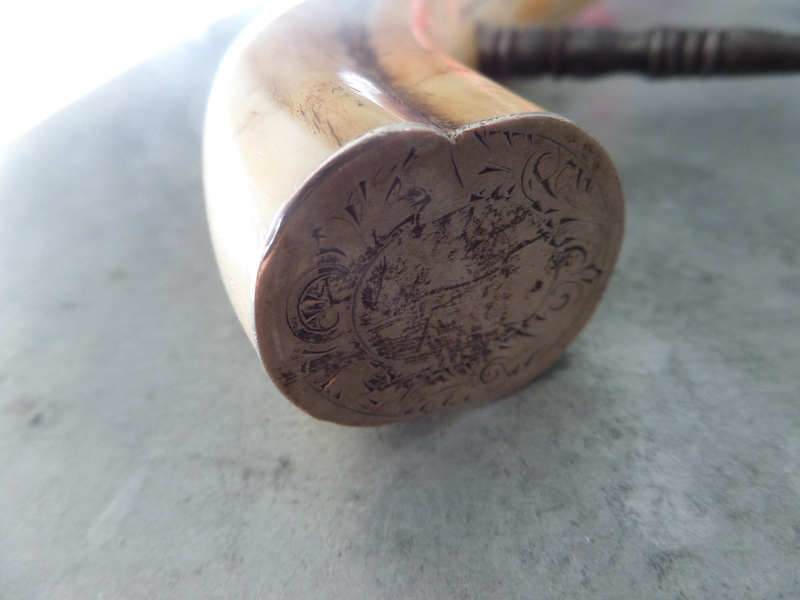 It has a tusk (presumably boar) handle and a fancy shanked helix, but what was most intriguing, was that instead of some sort of sterling cap, the tusk looks to have an ivory cap/insert that was then carved. The photos were a little poor, but I decided to throw caution to the wind, and go for it. I will provide better photos when it arrives in a couple of days. 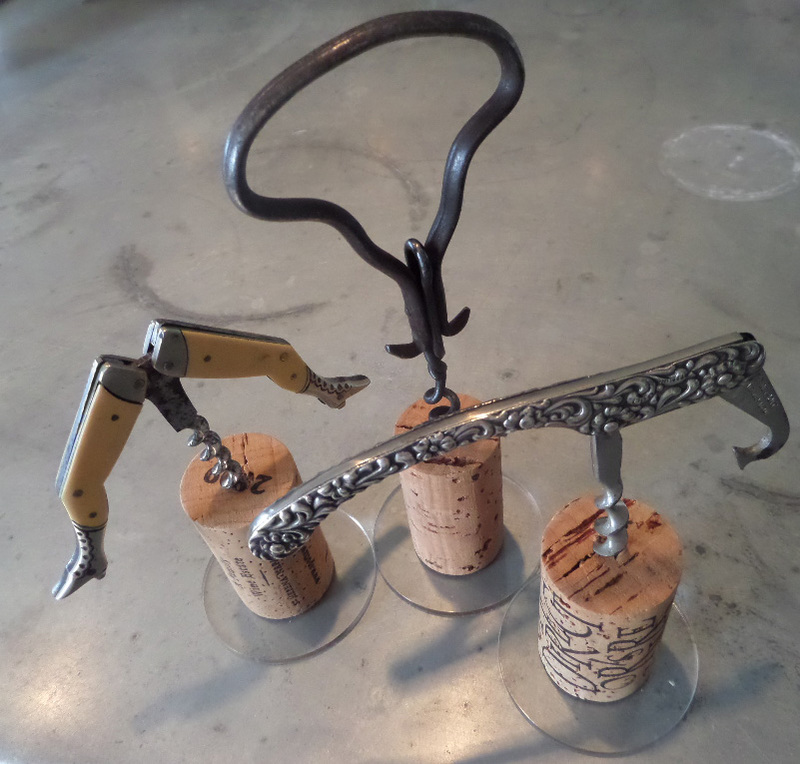 A couple of years ago–for the Boston CCCC meeting–when Barry, John, and I put together the Murphy corkscrew display, we decided that unless the corkscrew was marked for Murphy, that the corkscrew couldn’t be included. T Pulls, buttons, bells, that were decidedly similar, and that might have been made by Murphy were excluded if they weren’t signed. 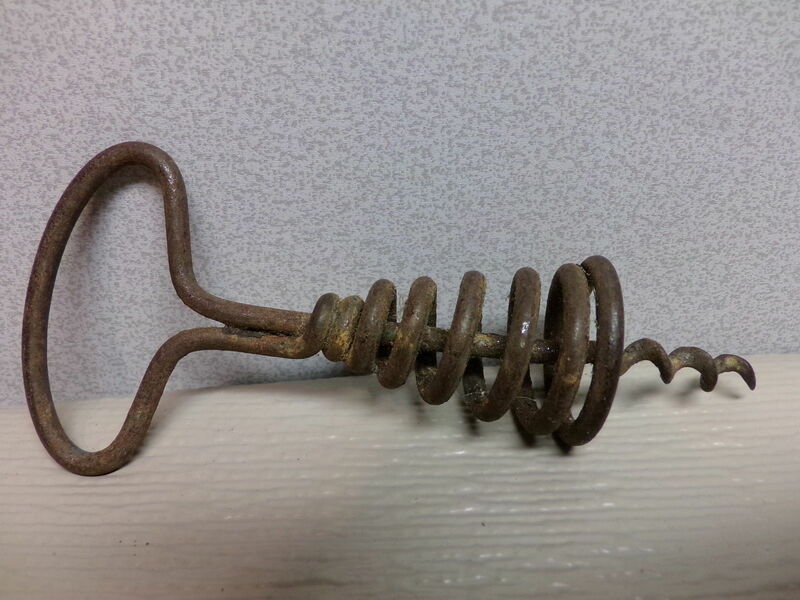 Yesterday, there was a corkscrew listed on our second favorite auction site, that had the Murphy look. 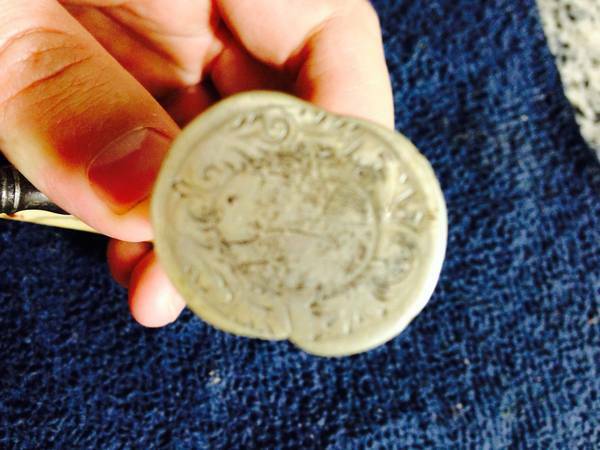 It had what appears to be the Murphy button (without the upturned hook), and a nice stag handle. Interestingly, it has Sterling on the handle. 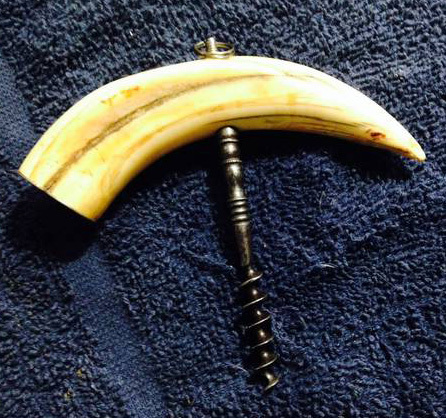 In the past, I had picked up another stag handle corkscrew with what appeared to be a Murphy button, but it too was unmarked on the shaft. It also had sterling accents. And, then it occurred to me, could it have been that Murphy made these corkscrews, but they went unmarked so the person applying the sterling would only have their name upon them? 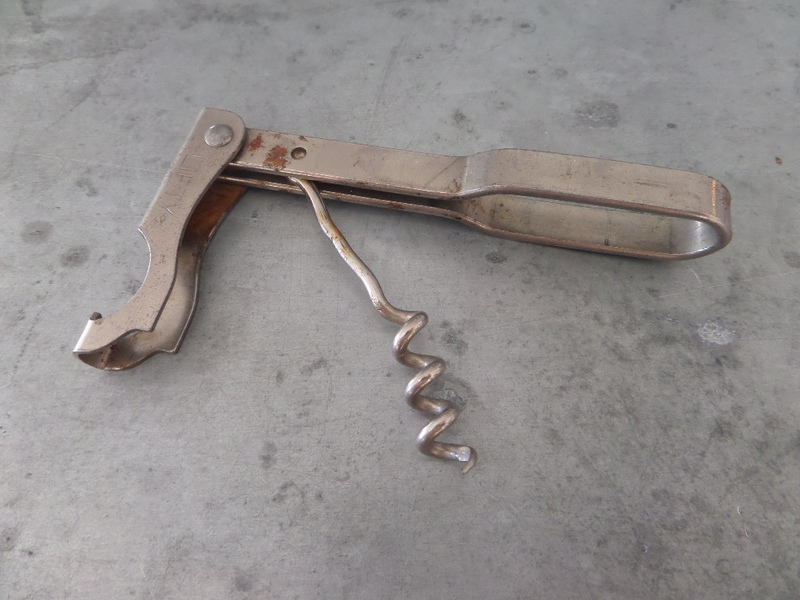 That said, this particular corkscrew was listed with a fair Buy it Now, and I snapped it up pretty quickly. After making the purchase, I verified with the seller that there are NO markings on the shaft. I was secretly hoping that it did say Murphy, or R. Murphy Boston, but it is only marked STERLING on the endcaps. But, does this belong in the Murphy collection? Another interesting corkscrew is also enroute. 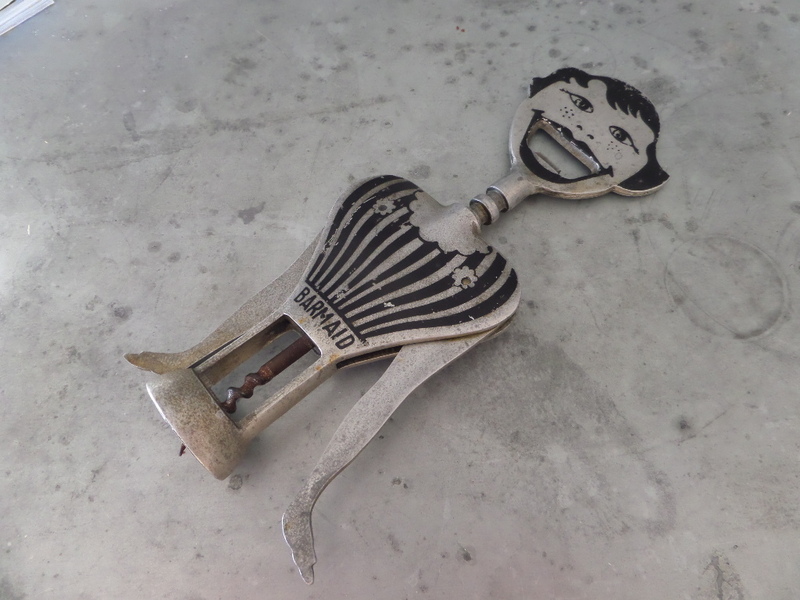 This odd spring corkscrew will soon be arriving, and I am still trying to figure out who might have made this. 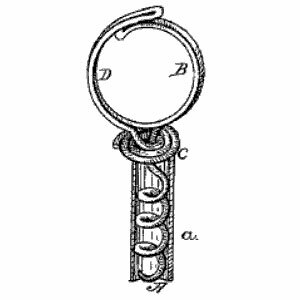 A couple of collectors are suggesting that this is a French patent from Léon Paillard. 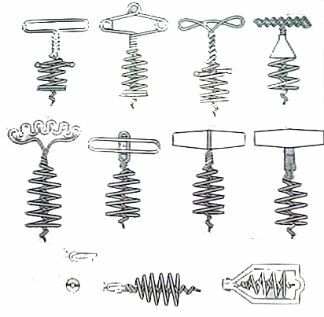 The drawings look similar, and Ron MacLean mentions Palliard in his book on Clough explaining, at that time, no examples of the Paillard corkscrew had yet to have been found. Could this be a Paillard? 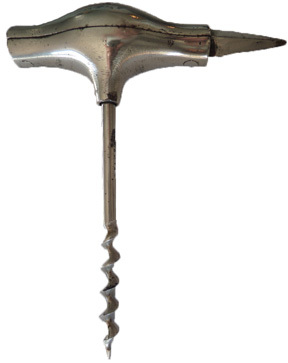 Has anyone found a similar corkscrew? While The Bottle Scrue Times is a newsletter that is available only to members of the ICCA, there have been articles from the BST that have been put online and made available for anyone that is interested. If you visit the-icca.net, you can find all kinds of information about the club, but if you click on the Library link, you will see a list of articles that are available to read. These include e-books, articles, and presentations from Don Bull, John Morris, Ian Hunter, the late Bob Nugent, and a few that I have penned. As of today, there are two more additions to the Library. 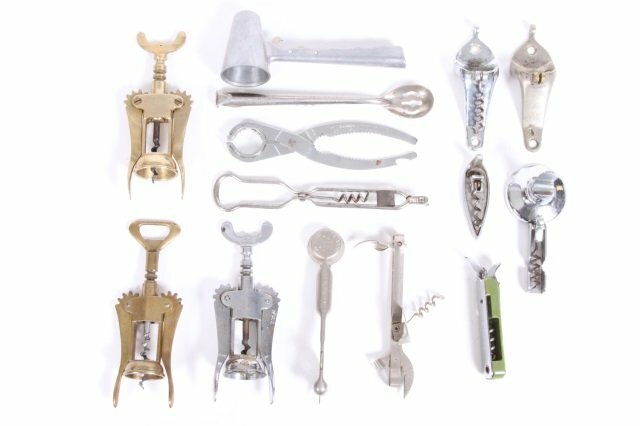 In Belgium Jens Anbjerg, Bjorn Berger, and Helgir Solheim gave a presentation on corkscrews being used as a closure in beer bottles, and the corkscrews that were made to remove said corks. The other article, Tommy and I worked on together. 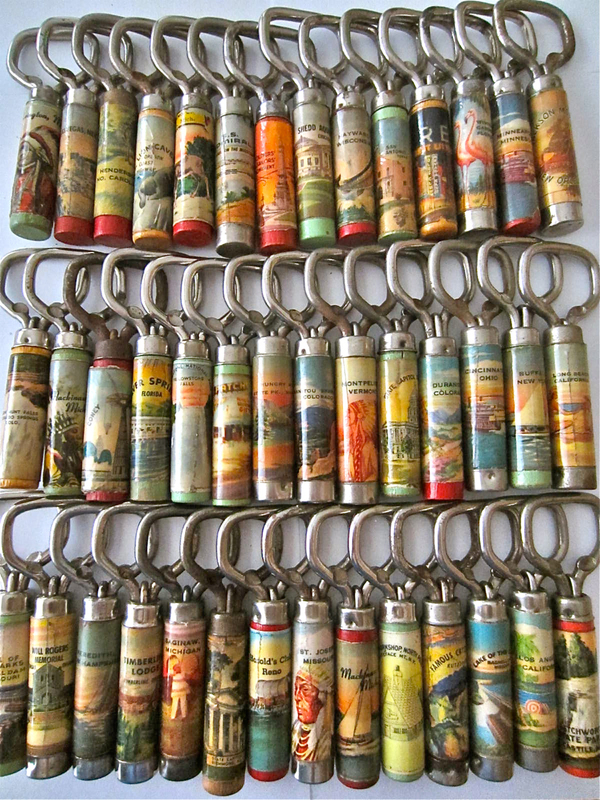 And, it features his Williamson Flash Collection. Definitely worth a visit, and the pictures turned out great. For those wondering what Flashes TC has in his collection, it includes a list as well–although he has added a few more since this was published several months ago. Over time, we will continue to add more articles to the library. And, I will provide an update to the blog when these articles are live for everyone’s consumption. 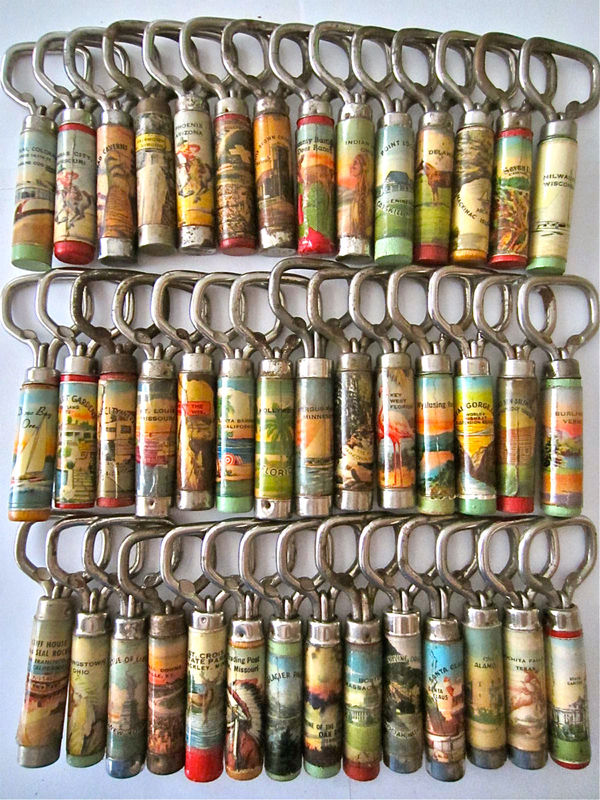 And, this is just a small sampling… It is truly mind boggling! I hope you enjoy the articles, and visit the library often! With weekend one completed in the ICCAuction, there were some fantastic corkscrews that changed hands. And, there will be plenty more next weekend. Word is that Tommy picked up that crazy Syroco codger mold, a carved alligator, and a few others. I tried for the Chinnock with the unusual marking, although I remember handling that piece at the Boston CCCC meeting, and thought it looked a little odd; remembering this, I backed off at the last minute. I did try for that funky, but definitely cool, wire frame piece…but, in the end was out bid on that as well. So, for this first round, I sold 10 and bought 1–the fish mentioned yesterday. That said, while the corkscrew world was focused on the ICCAuction, there were a few other auctions running that weren’t online. Word out of Tucson is that RL won a DeLavigne (in large lot of corkscrews) and then a Hootch Owl last night. So, yesterday we all piled into the x-terra and headed up the coast towards The Big Chicken Barn. And, while there were two corkscrews available, neither were worth buying. 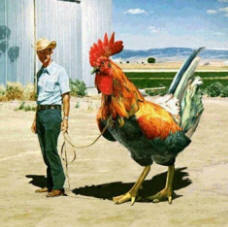 So we left The Big Chicken Barn without any treasures. We did however, have a great day traipsing up and down the coast of Maine, hitting a few antique stores along the way. And, as it happened I did manage to procure one corkscrew. This wasn’t an antique store find, but rather on the ICCAuction–which still has 716 lots up and running; you can link to them here . 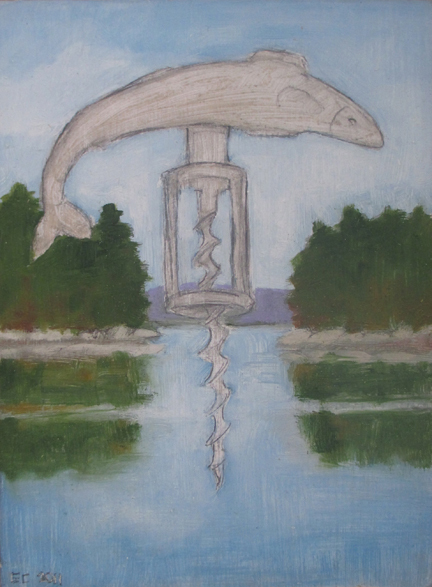 A couple of years ago, one of our friends (who is an artist and owns a gallery on the island) came over for dinner and brought a house warming gift; a small painting, it features a corkscrew (and was actually the back cover of a recent issue of The Bottle Scrue Times). 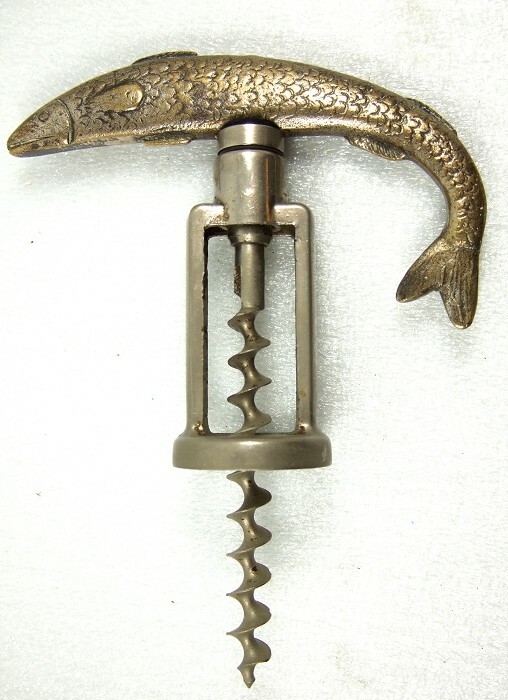 However, I didn’t have the fish corkscrew that is depicted in the painting. I knew that when one came available, I would put out a healthy bid to be sure I had the corkscrew to match. And, as of yesterday’s auction, the fishy fish will soon be arriving on the island. More corkscrew news to follow. You never know what will turn up next!